From left to right: Spirit woman reflected in stone, Pink girls at the Pow Wow, Daddy long legs eats raspberry. He said he asked me to write this guest blog because of my 365 day project last year. For those of you who don’t know, I decided to go outside every day from December 21, 2008 to December 20, 2009 and write a daily blog about Opening the door, walking outside. My husband suggested it would be a good thing to take pictures. He’s a weekly newspaper editor and he insisted that more people might visit the blog if it included a few photos each day. OK, I said. I can do that. I think I can do that. I have no idea how to use a camera (beyond pointing and shooting), but how challenging can it be? From left to right: Little girl in pink at Farmer's Market, Begging a hummingbird to drink--and please live, Inner world of a flower. We have to back up half a lifetime. Sorry, you guys knew this blog was going to ramble, didn’t you? You see, I was not a visual person. Not at all. You know the kind of person who looks at the writing and ignores the photos? Yep, that was me. You know the kind of person who can’t tell you what you’re wearing or whether you have a new haircut or if your living room was remodeled? Yep. That was me. The first photos for the blog snapped at night—when we danced around the Solstice fire and set our intentions for the upcoming year—looked like, er…challenging photos. I cringed. Could these be published for the world to see? Never mind. It didn’t matter. How many people visit brand new blogs anyway? From left to right: Driving over the Mackinac Bridge (slowly), Mirror of a bike, Patient dog. So now comes the reason why it’s been so challenging to do this blog. Scott said to pick some pictures that I liked and send ‘em along to him. He would re-size them and do his magic to fit them in his blog. All I had to do was find some photos that I liked. That’s when the challenges started. I just spent a couple hours staring at eighteen months of photos. (After the outdoor blog ended I swore I wouldn’t blog again for a long time. This vow lasted ten days before Lake Superior Spirit birthed January 1st of this year.) That translates to 15,000 photos. How the heck does one limit her favorite photos to ten or twelve? How does one do this? From left to right: Ice fishing auger drills hole on Lake Superior, Bubble in the spring melt, Oregano through dryer mist. One of these days I may buy one of those fancy cameras like “real” photographers have. Except this one is so easy to slip in the jeans pocket when you’re picking raspberries or wandering in the woods. Ms. Cyber-Shot has been a real great friend these past eighteen months. She’s taught me how to see—even though I still might miss noticing your new haircut. 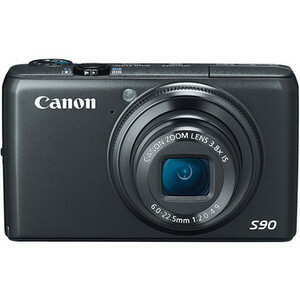 Highly acclaimed for its clean high ISO capabilities, the Canon PowerShot S90 camera is the perfect blend of simple and advanced features for those looking to step up their photography or as a small second camera to carry at all times. This entry was posted in Photography and tagged 365 day project, blog, camera, canon cybershot, guest blog, lake superior spirit, michigan, point & shoot, upper peninsula. Bookmark the permalink. Nice post, Kathy! You and I came around to blogging via similar routes but different byways. 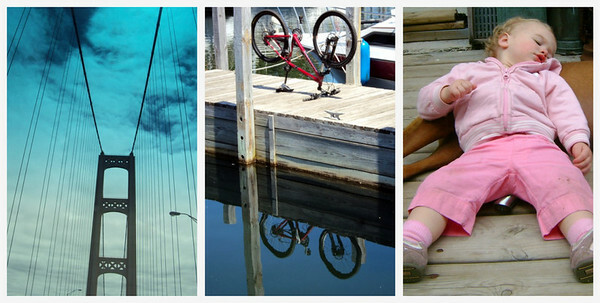 I also did the 365, but without a blog ( I didn’t feel I was “tech-savvy” enough at the time) so I used Flickr. I am a very visual learner, to the point where if someone is talking away trying to explain something to me I will often have to stop the person and say “show me a picture!” – then I understand. I had no idea that Lake Superior Spirit started just this year. Are the archives of your 365 included at LSS? Thank you for stopping by & reading, dear blogging buddy and fellow photographer! Yes, the 365 is still on Flickr; I still have a link to it on my site, but it may go to just my photostream. I should fix that link to be more direct. Gerry, The Teachings of Scott have been very valuable to us pointers & shooters! I’ll bet those photos did bring back some memories for you. They did for me, too. You were such a faithful reader & commenter during the year-long adventure…I so appreciated the support and encouragement you gave! Kathy, very cool! I enjoy your writing and the photos! I really love many of your water/stone images, they have great energy. Elisa, it is so interesting to see how our energy rises and ebbs. I know you are a wonderful photographer…it will be interesting to see when you are inspired again. It is also interesting why some images have more energy than others. So much food for thought! Thank you for playing hide ‘n seek. Kathy – You go, girl! This post is slick as a whistle. Whoohoo! Thank you, Laurie. It was fun to write. It was soooo cool for Scott to highlight. Maybe it will inspire some beginning photography people to take 15,000 photos and learn about the craft! Phew, Nye, glad it didn’t sound like rambling!! It was a little hard to commit to doing a 365 day project–really hard at times–but very worthwhile in the end. (But I didn’t only post one photo. Usually posted 3-7 photos per day.) You should give it a try! Anna, thank you so much! What has been so interesting has been realizing that we all see things in different ways. And that photos can tell stories as well as words. I appreciate your comment so much. Kathy and Scott…what a great idea and post. Looking forward to exploring your site Scott. Have been meaning to for a while now. My well aged Canon PowerShot A95 will be happy to begin living up to it’s potential! Milkayphoto, your words and encouragement mean a lot! Don’t know how I ever got that “eye” but it’s a good gift to have when you’re learning. Am so excited about continuing to discover this new world of photography. Thank you. The technology of cameras can be so intimidating to beginners – even a visual person (like me) who isn’t into gadgets, finds it difficult. Amy, yes, indeed, camera technology can be daunting to those of us who are beginners. Thank you from both the eye and the spirit and the heart–I so appreciated your support and encouragement all during last year so much. Thank you for reading, Truels. He certainly is an inspiration–and I may be asking him about the best camera to buy soon (beyond this point and shoot variety). Just maybe!